Two auction houses held three sales in early December with 174 cars coming under the hammer. Some 117 cars sold, with 43 of them going for a six-figure sum and a further nine for seven-figure sums. One car comfortably achieved an eight-figure price and in so doing it became one of the top 10 most valuable cars ever sold at auction. 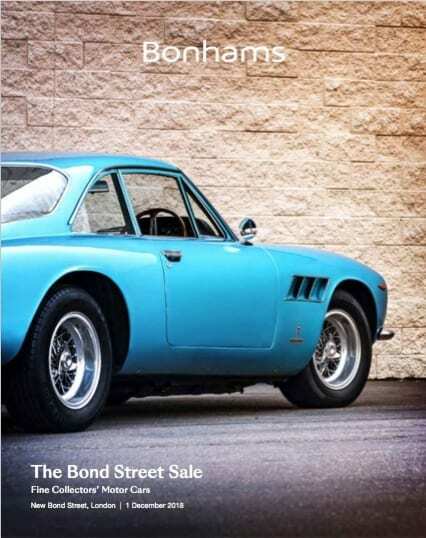 With quality prioritised over quantity, among the 29 cars in the Bonhams at Bond St catalogue were two Rolls-Royces, five Ferraris, six Jaguars, nine Aston Martins (inc. three Zagatos) and… no Porsches. Among those which caught our pre-sale eye was an Aston Vanquish Zagato, a Vantage V600 Le Mans, a V8 Vantage X-Pack, a Jag F-Type Project 8, a Ferrari 365 GT4 Boxer and a 500 Superfast – the ultimate in ‘60s Ferrari road cars. With almost 100 automobilia lots being offered prior to the 78 catalogued cars, Bonhams Olympia sale is a comparative marathon. As in previous years, the cars here were generally lower value offerings with no seven-figure blockbusters, but in addition to the 20-or-so pre-war and vintage lots were half a dozen Astons and Ferraris – including a ‘73 246 GTS Dino (est. 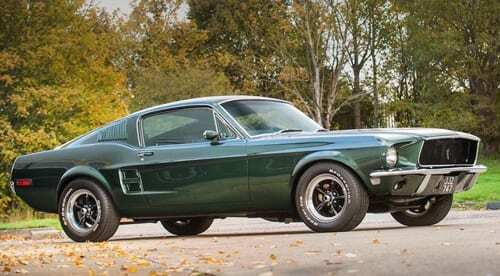 £350-400k), four Porsches and a fabulous ‘67 ‘Bullitt’ replica Mustang (est. £70-90k). 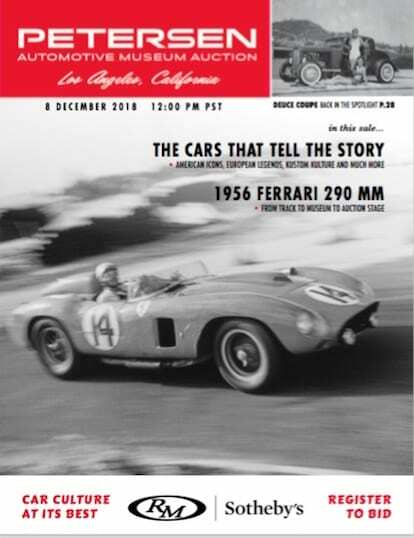 In stark contrast to the conservative design of traditional car auction catalogues, RM Sotheby’s flamboyant production for its Petersen Museum sale in LA featured over 70 West Coast Kustom Kulture memorabilia lots followed by 68 vehicles ranging from Honda Monkey bikes to a ’66 Batmobile. Two of the three Aston entries were Zagatos (do we spot a trend here? ), while among the nine Porsches was a 959 Komfort, a Carrera GT, a 997 GT2 RS and a 918 Weissach Spider. 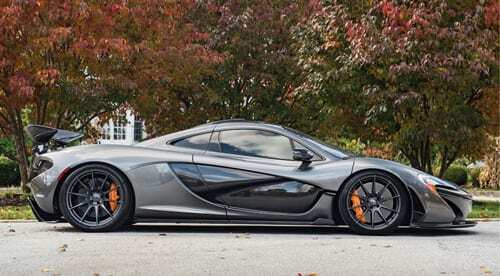 No LaFerraris under the hammer this time, but instead you could have bid on a McLaren P1, a Miura P400 SV or one (or all!) of ten other Ferraris including, for serious high-rollers, an ex-works ‘56 Ferrari 290 MM carrying a $22-26 million estimate. Aston Martins accounted for a quarter of the cars offered at last year’s Bond St. sale, and this year the ratio was up to almost a third, with only a third of those being sold. 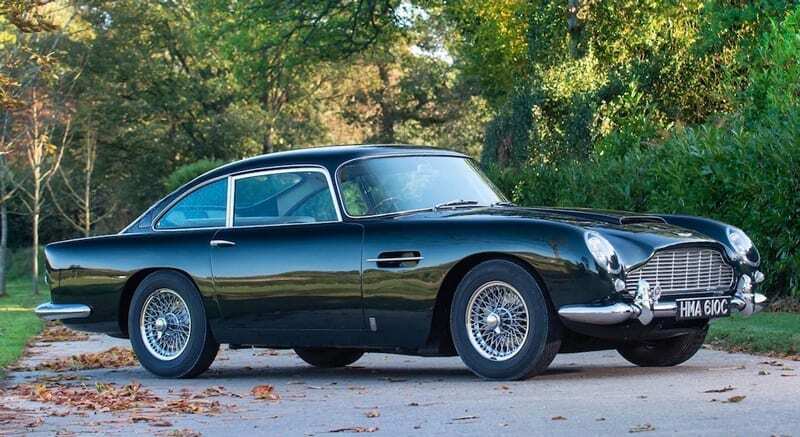 The unspectacular Aston sell-through rate was reflected in the sale overall with 10 (34%) of the 29 cars offered finding new homes on the day – the most notable price-wise being the BMW 507 which went for a robust £2,367,000. Only two cars were offered at no reserve and this along with some bullish reserves and estimates, not to mention the ‘B-word’, won’t have helped matters. 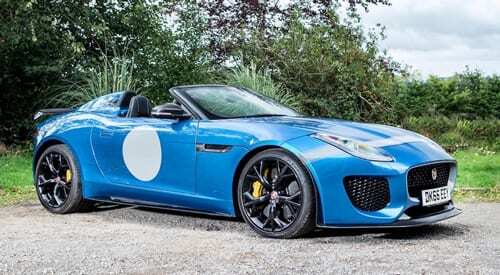 The cars we had our eye on (Vanquish Zagato, F-Type Project 8, V8 Vantage X-Pack, V600 Le Mans, 365 GT4 Boxer and the 500 Superfast) all failed to sell, as did a pair of ex-works Jaguar endurance racers. With an average value of £62.5k for cars sold at this auction over the past three years, the Olympia sale is more of a provincial-style affair with a pre-1970s bias, but there was nonetheless a decent assortment of not so old-school classics carrying estimates upward of £60k. These included one of two early Vanquishes, the ’73 246 GTS Dino, an F12 Berlinetta, a 599 GTB and a couple of 308s. On the day though, all these were going home unsold. Almost all of the higher value cars that did sell were from the 1930s, ‘50s and early ‘60s, eg. 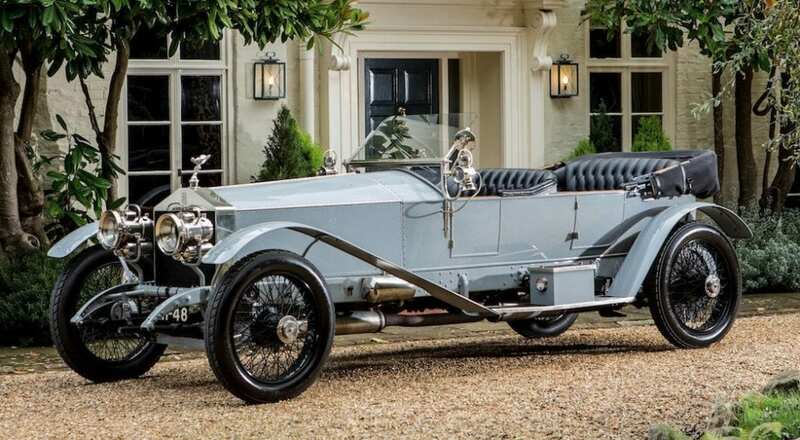 a couple of 1921 Rolls-Royce Silver Ghosts, the more desirable achieving the sale’s highest price of £276,000 (est. £300-400k). Selling for £189,750 a ’36 Talbot Tourer exceeded its high estimate, as did a ’39 Derby Bentley 4.25L Tourer (£163,300) and a ’53 Aston DB2 Vantage X (£201,250). Those that sold for figures within their guide prices included a ’58 Aston DB Mk. III (£112,700), a ’60 Bentley S2 Continental saloon (£94,300) and a ’62 E-Type 3.8 FHC (£97,750), while one more recent lot that also sold within estimate was an ‘89 Porsche 911 Carrera Super Sport Cabrio (£72,800). Four cars changed hands in post sale deals: a ‘61 E-Type 3.8 roadster (£74,167), a ’73 BMW 3.0 CSL (£73,600), the Mustang Bullitt rep. (£71,250) and an ’03 Vanquish (£43,833). Of the 77 cars offered only five were at no reserve, and when all was done and dusted, 53 cars (69%) had sold for a total of £3,189,563. That’s £69k up on last year’s Olympia sale (59% sold) and a little over £87k up on the year before (57% sold). One just-above average value sale made the difference between this year and last, but in any event, 69% sold roundly beats the 34% from two days earlier. Not a bad effort considering the omnipresent ‘uncertainty’. It did seem a little incongruous that one of the world’s most valuable cars – the ex-works Ferrari 290 MM – was to be offered at the Mecca of Californian hot-rodding culture, alongside Von Dutch artworks, krazy kustoms and all manner of weird and wonderful memorabilia. However, this juxtaposition didn’t prove problematic. With the bidding opening at $10m, the Grand Finale 290 MM ignited an extended over-the-phone contest between three collectors before the hammer fell at $20m, or $22,005,000 (£17,284,597) with premium. That’s serious money by any standards, but two very similar Ferraris have sold for substantially more (scroll down here The 75 Most Expensive). Perhaps more notable is the divergence between the UK and US auction scenes. Despite its best efforts, across both Bonhams’ recent London sales fewer than 7% of lots were at no reserve while just under 52% were sold. In contrast, RM Sotheby’s offered 46% at no reserve with almost 80% of cars selling in LA, while its September Battersea sales had 30% (2018) and 32% (2017) of cars at no reserve. 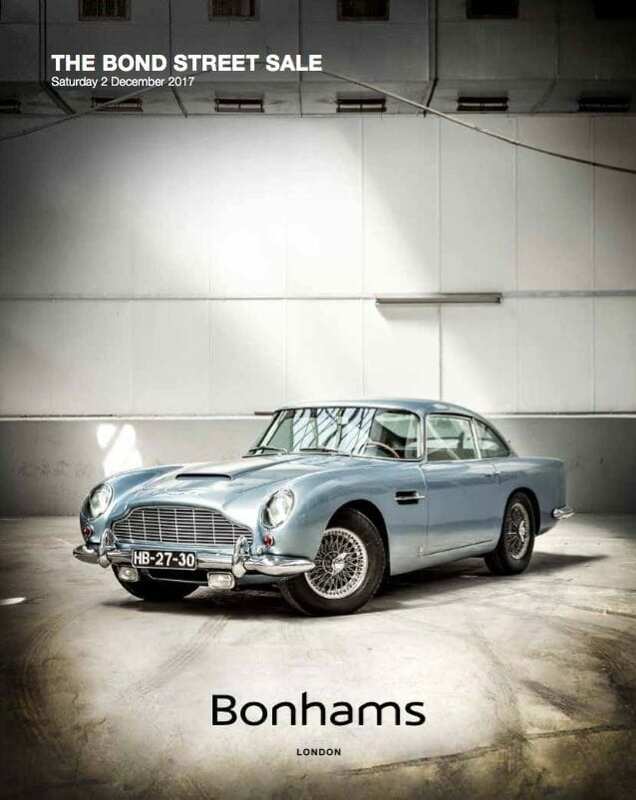 From these and other sales on both sides of the pond, it’s clear that UK sellers, or certainly Bonham’s clientele, have become considerably more intransigent than RM Sotheby’s sellers. We’re passionate about classic cars, supercars and classic supercars at JBR Capital and we can quickly build a bespoke finance package to suit your needs. So if you’re interested in acquiring the car of your dreams then please call one of our experts today on 020 3355 0035 to explore your finance options. Early December’s flurry of auction activity isn’t on the scale of those held around the Pebble Beach concours in late Summer, but there was no shortage of interesting cars offered at Bonhams’ two London sales and RM Sotheby’s in New York, the latter held on the same day as the second Bonhams sale. Among the 32 cars and bikes offered at Bonhams’ Bond Street sale were two ex-Beatles cars; a freshly restored 1964 Aston Martin DB5 previously owned by Paul McCartney with a £1.25m – £1.5m estimate, and an ex Brian Epstein and Ringo Starr Mini Cooper S with special coachwork (£90k – £120k). Among the six Ferraris offered was a 14,000-mile 1985 288 GTO (£2m – £2.5m) and a 5,000-mile 2004 Enzo (£1.8m – £2.2m). With close to 90 generally less valuable cars offered, Bonhams’ Olympia sale included three Alfa Romeos, four Bentleys and Ferraris, six Mercedes-Benz, eight Rolls-Royces and nine Jaguars. 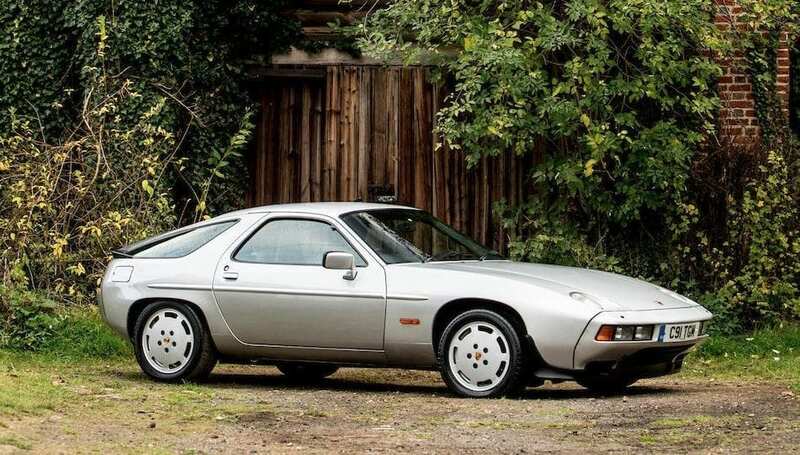 One of the four catalogued Porsches was an interesting ‘1986.5’ 928 S2 originally built with the classic S2 bodyshape but with the later S4’s mechanical spec (£24k – £28k). RM Sothebys’s Icon sale was a low volume, higher value affair. Among the eight Ferraris was an F12 TdF ($1.1m – $1.4m), an F40 ($1.2m – $1.4m) and a LaFerrari ($3.25m – $3.75m). Then there was a Porsche Carrera GT ($775k – $850k), a 993 911 GT2 ($1.1m – $1.4m) and a 918 Weissach Spyder ($1.7m – $1.9m), not to mention an ex Steve Jobs BMW Z8 ($300k – $400k), a Pagani Huayra ($1.9m – $2.3m) and, not least, the first Bugatti Chiron to be sold at auction ($3.5m – $4m). And the headline car? 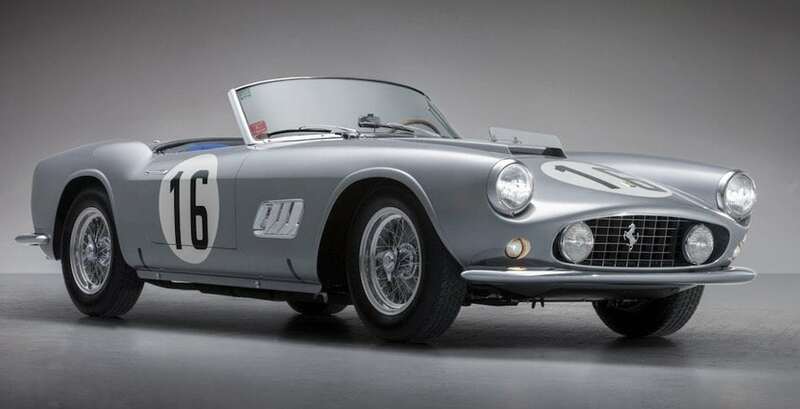 A 1959 Ferrari 250 GT California Spyder Competizione with solid Le Mans 24hr provenance and a $14m to $17m estimate. Maybe it’s a winter-time knock-on effect of Bonhams’ Aston Martin sale held each May, but the marque accounting for over 25% of the 30 cars offered was perhaps a little disproportionate. 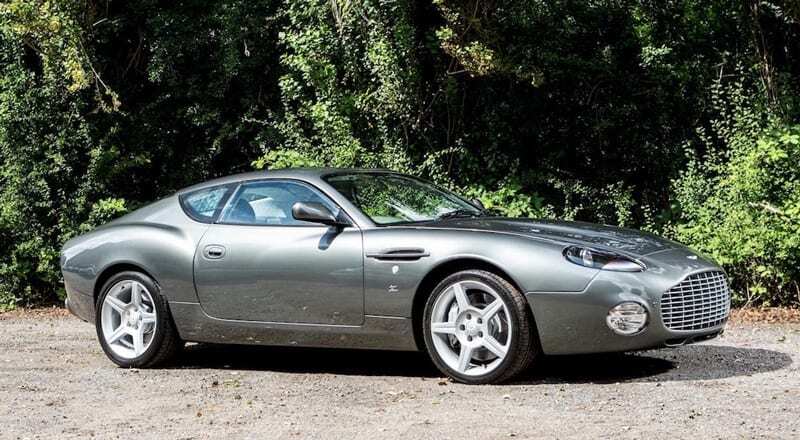 That said, of the eight Astons offered half of them sold, and for good money, namely an ’04 DB7 Zagato for £359,900, a Series V DB4 for £516,700, an orginal LHD DB5 Vantage for £830,300 and the headline ex-McCartney DB5 (recently restored but not in original trim or paint colours) for £1,345,000 – the McCartney factor accounting for about £400k of its sale price. Other notables were £561,500 for a 1929 Bentley 4.5-Litre ‘Le Mans Rep’ tourer, £505,500 for a rare and lovely pre-war Alvis tourer, £366,666 for an ex Elton John and Alan Sugar Bentley S1 Continental fastback, £281,500 for a Ford RS200 Evo Group B rally car, and £102,300 for the ex-Ringo Starr Radford Cooper S (bought by ‘Ginger Spice’ Geri Halliwell). The Enzo didn’t sell, and nor did any of the five other Ferraris while under the hammer, although in post sale deals the 288 GTO went for £1,883,333, a 1972 365 GTB/4 Daytona for £467,500 and a 2002 30,000-mile RHD 575 Maranello for £158,300. Also unsold was a 550-mile 911 997 GT3 RS (est. £250k – £300k). With no cars offered at no reserve, 14 of the 36 offered didn’t sell. However, with an average value of over £390k, 61% did sell and the auction grossed over £8.6m including the post sale deals, or the best part of £4.86m more than last year’s Bond St. gross figure. 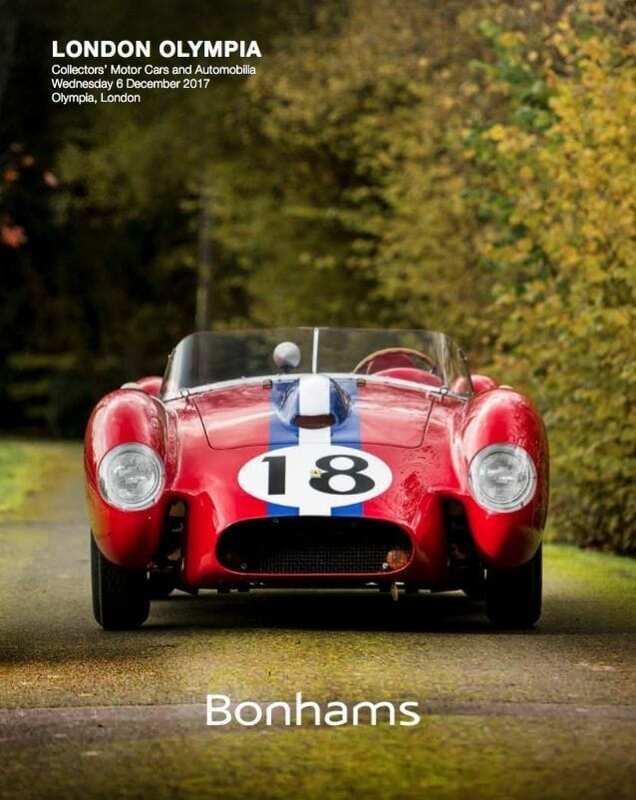 Unfortunately for Bonhams, the catalogue’s front cover car – a faithful recreation of a 1952 Ferrari 250 Testa Rossa with a £300k-£400k estimate – was withdrawn from the sale, but by the end of the afternoon that didn’t seem to have deterred bidders for the majority of the other 88 cars offered. 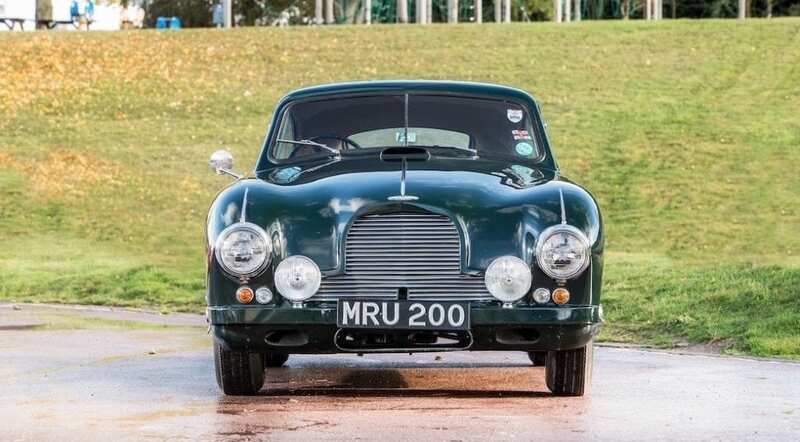 As at Bond St. four days earlier, top price of the day was achieved by another 1964 Aston DB5 saloon – this time a charming, running but very well-used example requiring restoration. Estimated at £350k-£450k, it sold for £462,940. Second highest was the £214,300 for a very authentic replica of a 1930s Bugatti Type 55 Roadster, followed by £165,020 for a lovely 1928 Invicta 4.5-litre tourer. 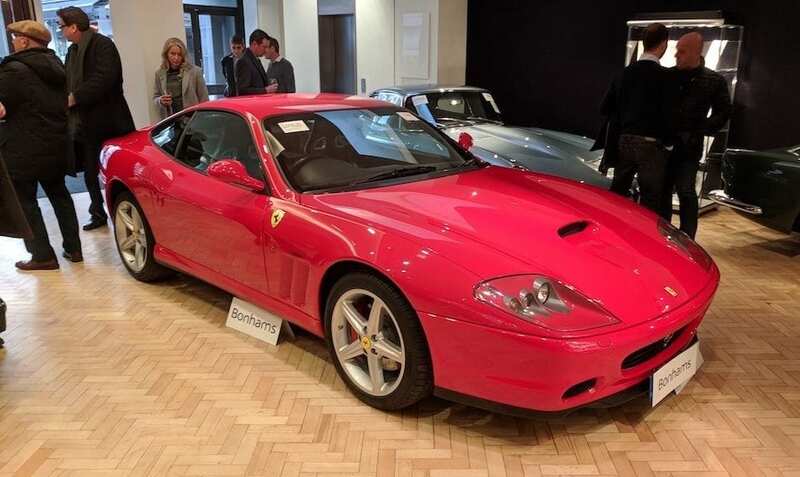 Moving a little closer to the present, a 2002 3,600-mile Ferrari F360 Spider sold for £100,060 – above its £90k high estimate, while a red 23,500-mile 2004 Ferrari 575 Maranello sold for a mid-estimate £124,700. A black 2004 LHD 575M (also ’04) with 16,500 miles (est. £100k – £120k) didn’t sell. A 2007 Porsche 911/997 Turbo S Cabrio (est. £70k – £90k) also failed to sell, but a 1989 911/964 found a new owner for £51,750. The aforementioned ‘1986.5’ 59,000-mile 928 S2 went to a new home for £32,200, comfortably above its £28k upper estimate. Just two of the 88 cars on sale were offered at no reserve, but despite this 52 (59%) sold at an average price of £60k to give a gross sale figure of £3.12m, so beating last year’s total by a slender £17,755. The high-end collectors market may have settled from the dizzying levels of 2014, but attracted by a highly enticing variety of ‘icons’ there was no shortage of paddle waving among the small but select crowd in New York. The evening’s biggest draw was Lot 141 – the 250 GT LWB California Spider Competitzione. Following an intense two-way saleroom battle, the hammer fell at $16.35m – a little short of its $17m upper estimate, but with buyer’s premium added that equates to a cool $17.99m. Lot 131, a 1952 Jaguar C-Type (raced in period by 1961 World F1 champ and 3x Le Mans winner Phil Hill) didn’t quite meet its lower $5.5m estimate but nonetheless sold for a healthy $5,285,000. 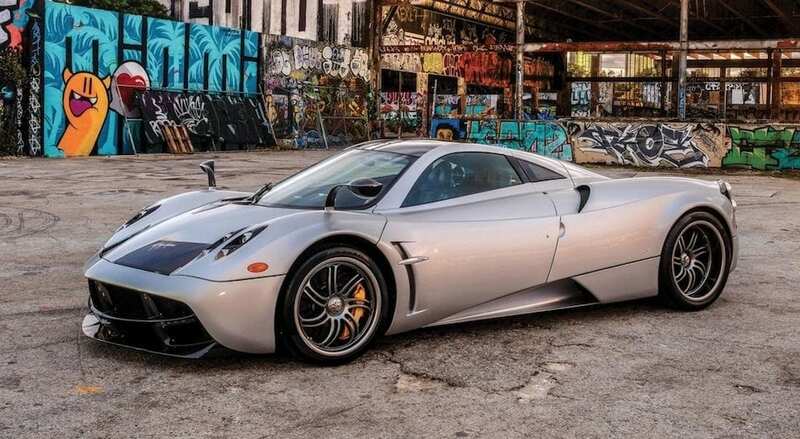 Among the other supercars to sell were: Pagani Huayra ($1.85m), Porsche 918 Weissach Spyder ($1,732,000), Ferrari F40 ($1,242,000), Ferrari F12 TdF ($1,105,000) and a Lamborghini Countach 25th Anniversary ($268,800). 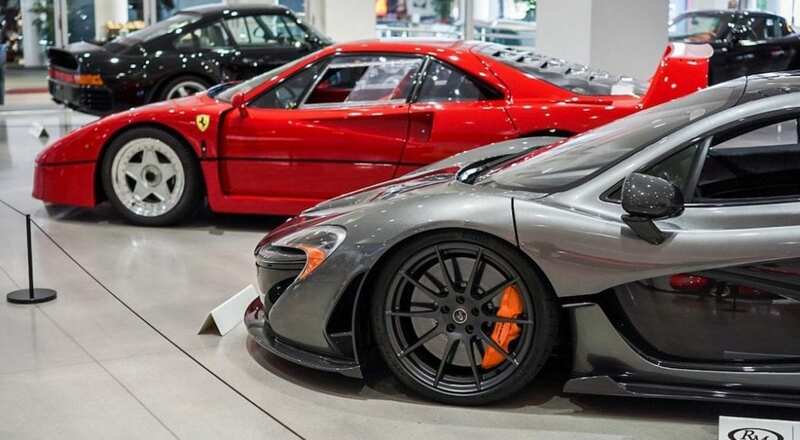 Unsold supercars included, somewhat surprisingly, a LaFerrari, a Carrera GT and a 911 993 GT2. Aston Martin DB5s had fared well at both Bonhams’ London auctions, and the 1965 Pebble Beach class-winning LHD DB5 Convertible offered in New York didn’t buck that trend by achieving an above estimate $2.7m. 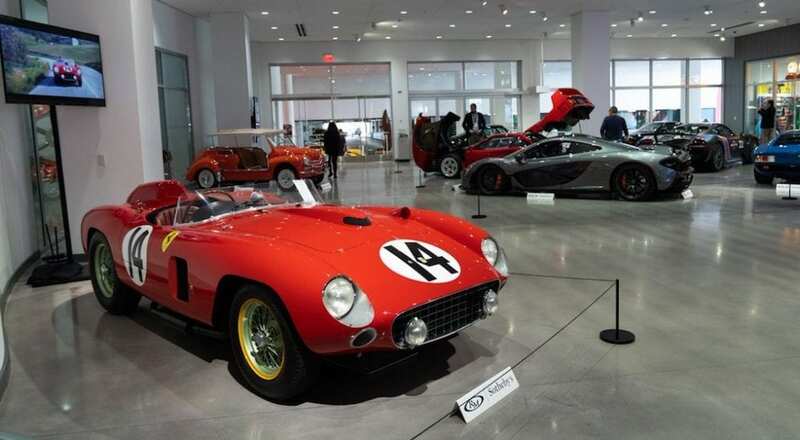 Eleven of the 32 cars were offered at no reserve, and by the time the fat lady had sung, 25 of the 32 had been sold – an impressive 78% – for an average of almost $1.8m apiece to achieve a gross sale figure of a little over $44.8 million. It’s fair to say that these three and quite different sales confirm that the market, in general, remains healthy and that it isn’t showing signs of either faltering or booming. Steady growth, in other words, and exactly how it should be for all concerned. As before, there’s also ample evidence that classic and collectors cars don’t necessarily provide an easy road to Profitville, not even rare and coveted Porsche’s and Ferraris, and short-term investment speculation carries risk in all but a tiny minority of cases. Your classic should not be chosen purely on its perceived investment potential, but because it’s a car you’d love to own, drive and cherish, at least for the foreseeable future. 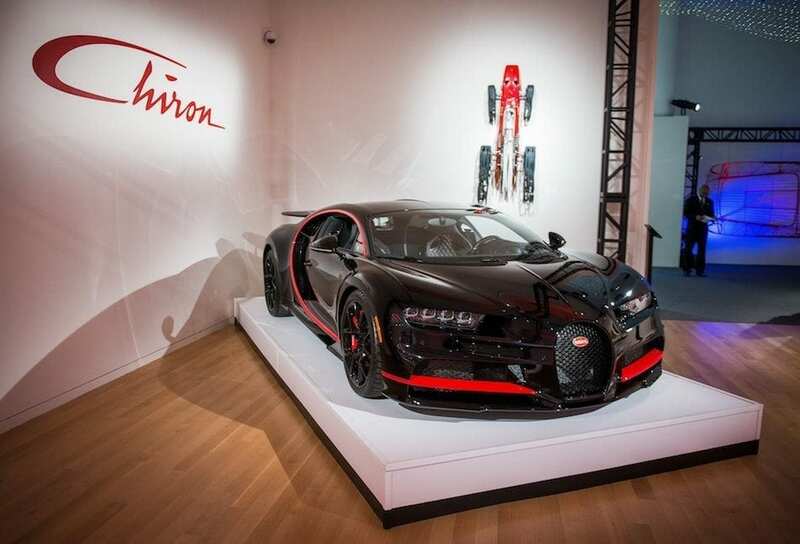 Having sold some 188 cars grossing $152.6 million between them during Monterey Week in mid August, and no doubt downed a celebratory flute or two of Californian spumante, the Bonhams and RM Sotheby’s teams packed their bags for Britain and beyond. 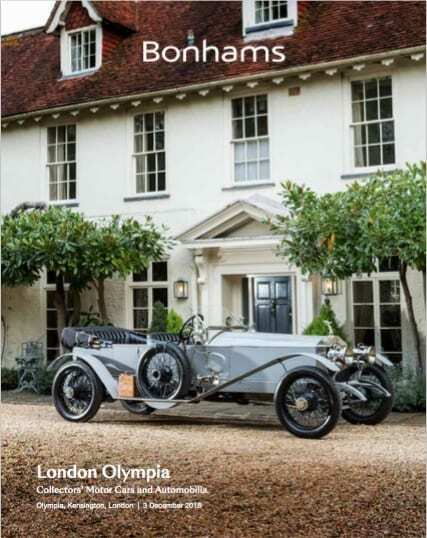 First stop for Bonhams was Beaulieu on 2nd September, a Saturday which also saw Silverstone Auctions stage its sale at the Salon Privé event at Blenheim Palace. This was followed on the Wednesday by RM Sotheby’s at Battersea, while Saturday 9th saw Bonhams at the Goodwood Revival and RM Sotheby’s hold its Leggenda e Passione Ferrari sale at Maranello. Buyers with any energy left, not to mention money, could then have made their way to Chantilly near Paris for Bonhams’ sale the very next day. Whether so much saleroom activity over such a short space of time is a good thing for buyers or sellers is a discussion for another time, and probably elsewhere, but philosophical questions aside, let’s take a look at how they all went. We shan’t linger here too long, partly because the first 400 or so lots were all manner of collectors’ jumble and automobilia. This was followed by about fifteen motorcycles – one of which, a ‘54 Vincent, sold for £43,700 – which in turn were followed by a very diverse assortment of about 125 classics including a ‘34 caravan, a ‘53 Daimler armoured car, a ‘58 speedboat, a ’71 Citroen Dyane, an 11yr-old twin-axle covered trailer and even a 2011 Mondeo Zetec estate. 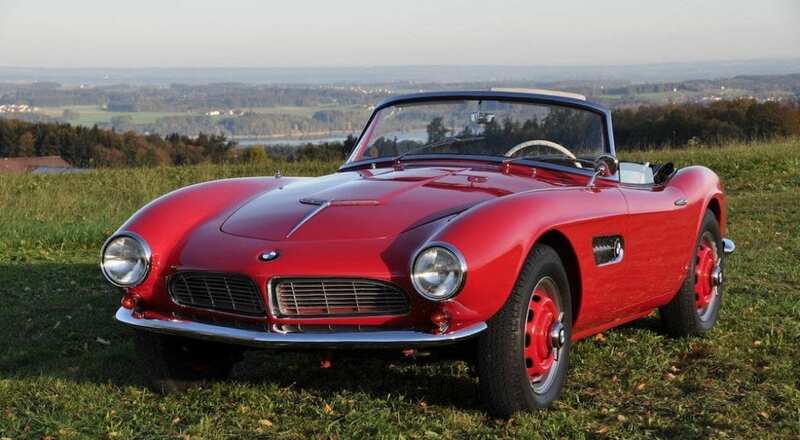 However, among the more usual lots was a ’57 Ford Thunderbird convertible with hardtop (sold for £38,525), a ’67 Alfa Duetto Spider (sold £46,575) and an ’05 Mercedes 350SL (sold £9,890). A ’71 Ferrari 246 Dino (est. £200-£250k), a ’74 Porsche 914 (est. £25-£35k) and a ’80 911 SC Group 4 replica (est. £40-£50k) were among the unsold lots, while a couple of 1920s, pre General Motors Vauxhall open tourers sold for £214,300 and £219,300. The sale’s star lot was a 1921 Napier Blue Bird Homage. With its near-700bhp, 12 cyl, 24-litre engine, this 200mph two-seater vintage racer achieved £264,700. 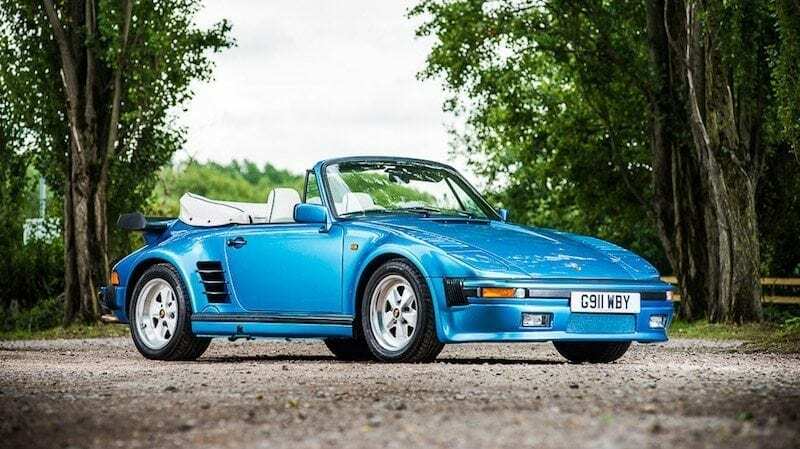 Dovetailing comfortably with what’s arguably become the UK’s most glamorous classic and supercar event, Silverstone Auctions’ sale proved to be something of a Porsche bonanza. Of the 70 car lots offered, 15 of them were Zuffenhausen’s finest and 10 of them sold on the day. Not exceptional figures in themselves, but some of the prices achieved were notable. A ‘62 356B 1600S Coupé went for £118,125 while a 1960 356B ‘Super 90’ Cabriolet sailed past its £160k lower estimate to £191,250 after a two way bidding battle in the sale room. 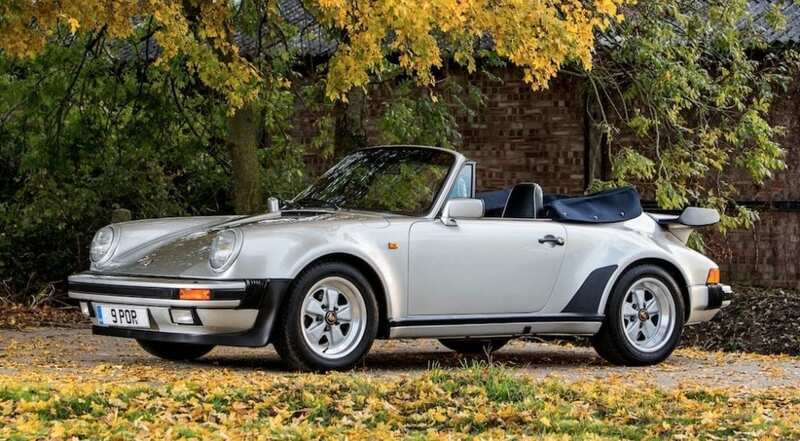 A ‘74 911 S 2.7 found a new home in California for an upper estimate-beating £87,750, but one of the most intense battles was over an ‘88 930 Turbo Targa for which a room bidder battled in vain in £500 increments against internet interest until the price reached £93,375. More affordable was a high-mileage but recently rebuilt and throroughly rejuvinated ’89 911 3.2 Carrera Sport coupe which went for £34,100, while at the other end of the 911 scale was an ‘89 Turbo SE ‘Flat Nose’ cabrio. This Minerva Blue, one-owner, UK-spec car was one of just 10 built, and with a lower estimate of £190k, bidding was frenetic. 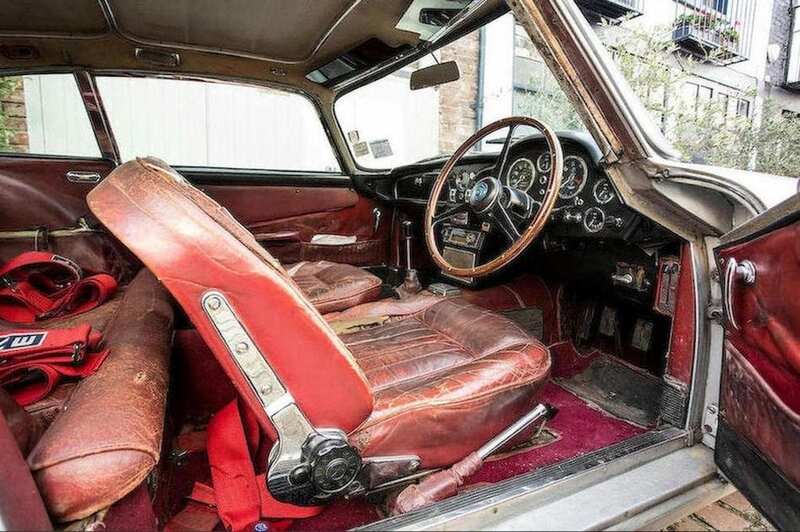 After a dramatic standoff between room and phone bidders the final price drew applause when the hammer finally fell in favour of a room bidder who paid a UK auction record £245,250 to become the car’s second owner. 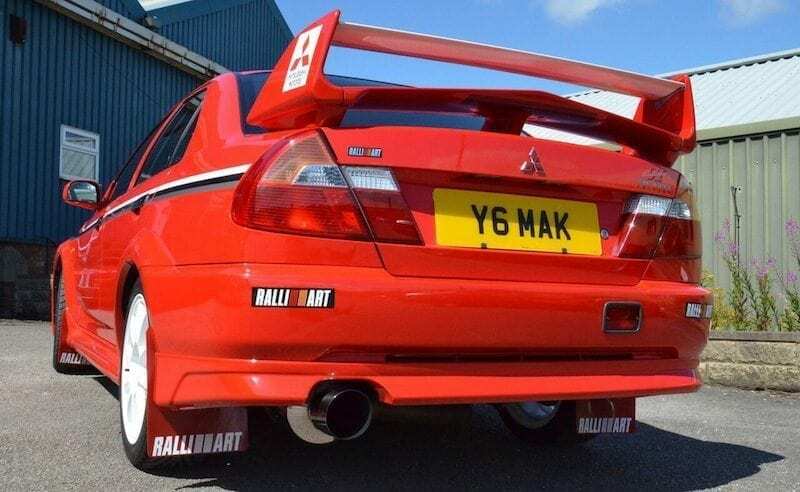 Another UK auction record fell earlier in the afternoon when a two-way bidding war erupted between room and internet bidders for a ’00 Mitsubishi Lancer Evo VI ‘Tommi Makinen’ edition. It powered past its lower estimate of £34k as a determined bidder in the room won it for £46,688. A ‘63 Corvette Stingray ‘split-window’ Coupé also sold to applause for £102,938, almost £23,000 clear of its lower estimate and another UK auction record, while a multi-award winning ‘69 Shelby GT500 moved on for £102,375. 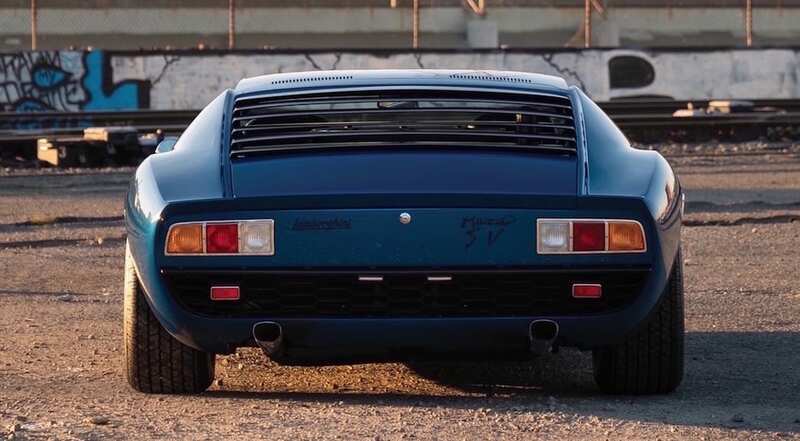 Enthusiastic bidding for a ‘74 Lamborghini Urraco P250 pushed its price £11,000 beyond its lower estimate to sell for £96,188, while a Lamborghini 1R tractor sold over the phone for £20,813. 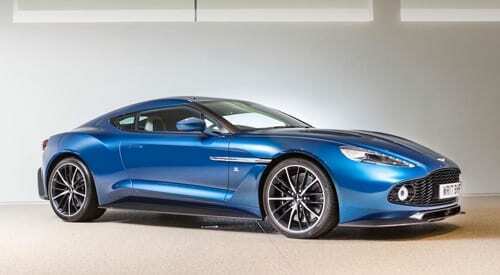 The sale achieved a £2.75 million total on the day, with 52% of cars offered being sold. This year 54% of RM’s Battersea cars sold compared with 76% last year, and the sale’s near £6.9 million gross figure also fell well short of matching the £21.6 million success of RM’s 2016 Battersea sale. So, last year RM sold a Riviera Blue ’95 993 GT2 at Battersea for a staggering £1.85 million – double it higher estimate, and this year a one-owner, black-on-black ’96 993 GT2 went for £775,625. An ’03 GT3 RS sold for £126,500, but in stark contrast to Silverstone’s Salon Privé sale held just four days earlier where 10 of the 15 Porsches offered sold, 11 of the 13 Porsches offered by RM failed to sell, most notably a ’73 Carrera 2.7 RS Lightweight with a £825k-£1m estimate. 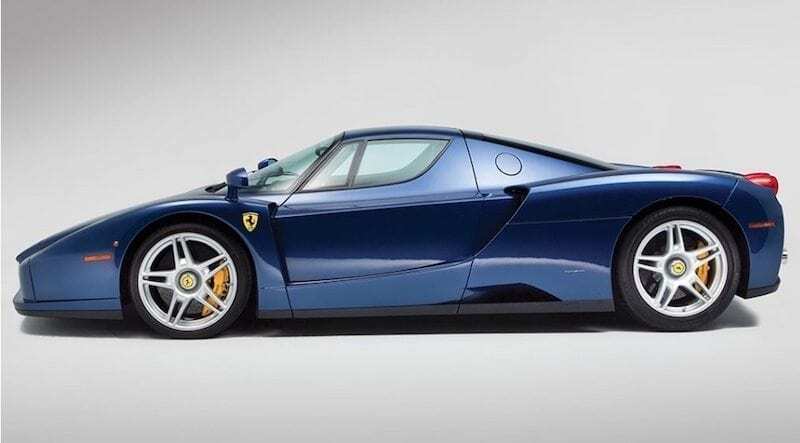 However, you don’t gross the best part of £6.9m without doing something right… A low mileage (5,520m) ’04 Ferrari Enzo finished in Tour de France Blue achieved £1,805,000, although that figure might have been higher had the car still been in its original ‘Titanio Extra Campionario’ (titanium) paint. 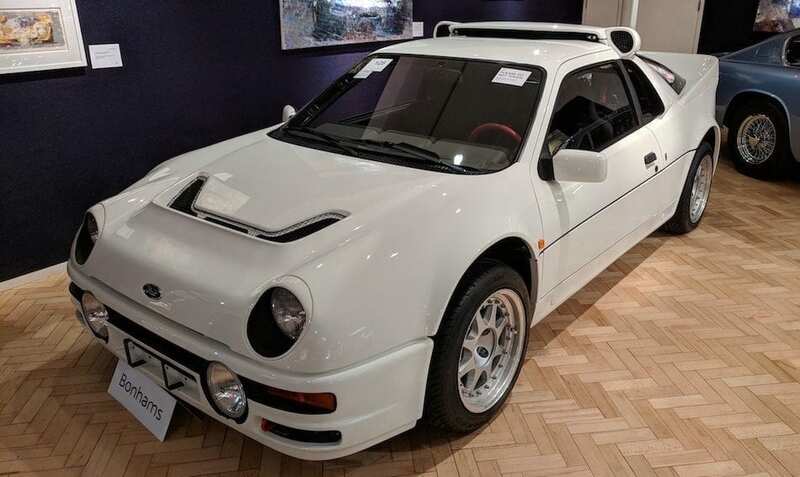 Others that sold included a 2012 Lexus LFA (£308,750), a pukka ’66 GT350 Shelby Mustang (£120,750), a 2011 Morgan Aeromax (£92,000) and a ’91 Lancia Delta Integrale Evo 1 (£29,900). However, closer to the present, two 2011 911s sold well – a 997 GT2 RS Coupé for £208,700 while a GT3 RS 4.0 Coupé went for £287,100. 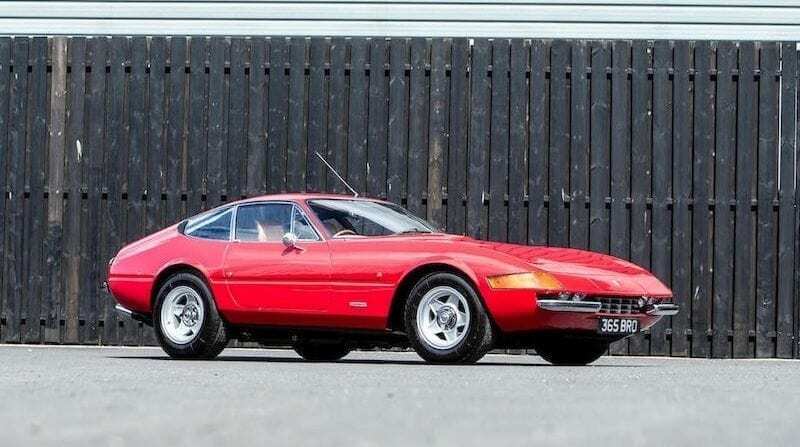 The biggest ticket turned out to be a ’73 Ferrari 365 GTB/4 Daytona coupe which exceeded its £550k-£600k estimate to sell for £606,300, while other sold cars of note included a rare ’67 rotary-engined Mazda Cosmo coupe (£91,100), a stunning Facel Vega II (£315,100) and a lovely small-block Chevy-powered Iso Grifo (£197,500). Perhaps unsurprising, given the event and venue, was that race and rally cars proved popular at the Revival sale, as did the old-school British marques. A famous ‘63 Ford Galaxie 500 (est. £180k-£220k) achieved a world-record price of £471,900, while a well-known, ex-works 1961 Austin Healey 3000 rally car made £236,700. A 1935 Lagonda LG45 Team Car went to a phone bidder for £371,100, while a 1952 Bentley R-Type Continental and a ’64 Aston DB5 coupe both achieved £561,500. Also British through and through was a 1927 Bentley 3-Litre Speed Model and a ’61 ‘flat-floor’ E-Type Roadster which sold for £357,660 and £309,500 respectively. Despite not boasting any big-ticket, multi-million lots, Bonhams’ Goodwood sale grossed a little over £10.7 million with 65% of the 109 cars offered finding new homes. This compares with a near-£11.4m gross figure last year from the 62% which sold. So, not a record breaker, but still pretty solid business nonetheless. With RM returning to Maranello for the first time in eight years, and the sale coinciding with Ferrari’s 70th anniversary celebrations, there was no shortage of eyebrow raisers at RM’s Ferrari-only sale, but where to begin? How about an unpainted 1:2 scale (2.3-metre long) 812 Superfast model built for wind tunnel testing which sold for €600k. 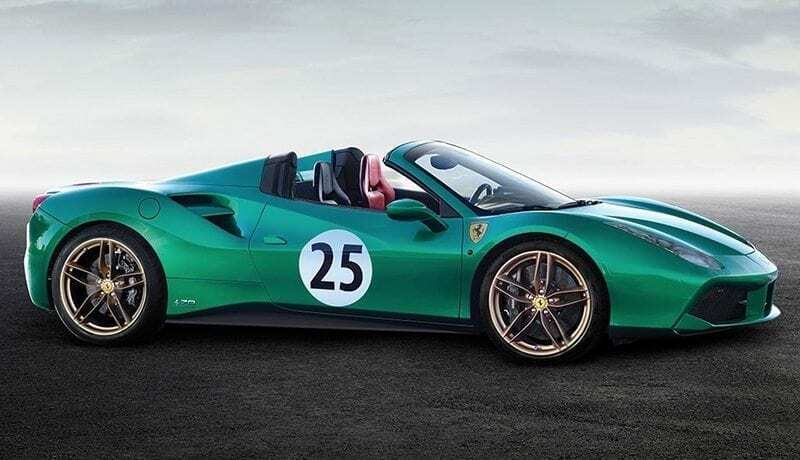 Or one of Ferrari’s 2016 Paris show cars – a 488 Spider finished in a metallic green with racing roundels and a special interior. It carried a hefty €320k-€380k estimate, but obliterrated those figures to sell for €1,090,200. 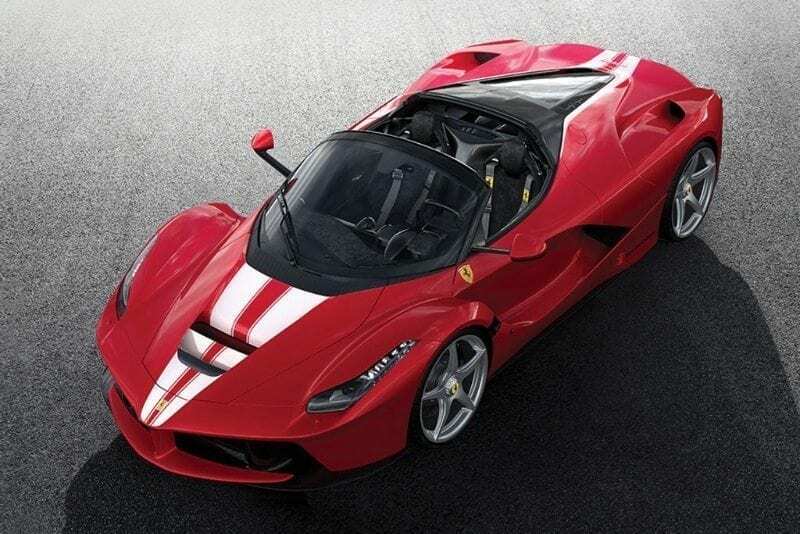 Or how about the yet-to-be-built 210th LaFerrari Aperta. 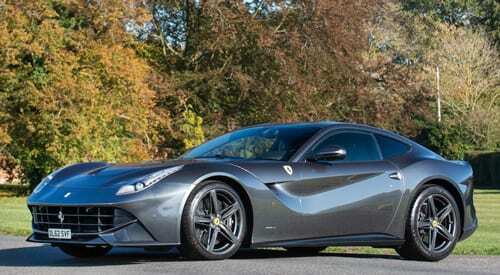 With only 209 Apertas slated for production this one will be more special than most. 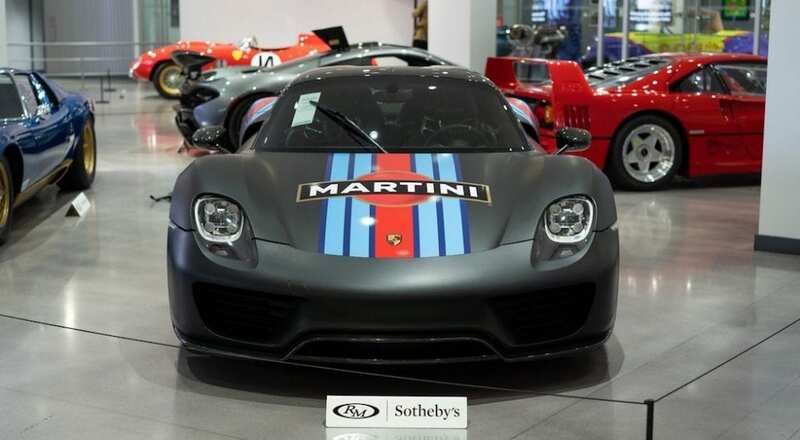 Bidders were no doubt encouraged by the fact that the proceeds from this sale would be donated by Ferrari to the Save the Children Fund, but €8.3 million from this final lot turned out to be the top price of the day, and the winning bidder now has Italian tax to pay on top of that. Perhaps not so surprising was the enthusiastic bidding and the handsome sum paid for a black 1983 400i. €345k is surely a world record for a 400i, but the car in question was in “stunningly original condition”, it was equipped with a 5-speed manual from new (most were autos), it had a mere 3,267km (2,030m) on the clock, and it was being sold by its first and only owner, Rolling Stone Keith Richards. Forty-two Ferraris dating from 1953 went under the hammer with 86% of them selling thus yielding a €59.6 million gross figure. This equates to an average of over €1.4 million per car. The words ‘timing’ and ‘location’ come to mind. With this sale being held at France’s most prestigeous annual concours event you might think that Bonhams had also got it about right with regard to timing and location. However, the desireablity of the cars offered and the number of desireable cars also matters, and this might account for a somewhat lacklustre performance. Of the 34 cars offered, seven were at no reserve and only half of them (17) sold on the day. The sale grossed €1.9 million, or about €7.6m less than last year from the even fewer 27 cars offered. The headline car, a ’57 Mercedes-Benz 300SL Roadster converted in the early 1990s to SLS racing Carrera Panamerica spec, carried a €1.5m-€2m estimate, but it was a recreation that noone much fancied on the day and it failed to meet its reserve. The same fate became a ’71 Ferrari Dino 246GT and ‘95 993 Carrera RS (both with €280k-£320k estimates), a ’58 Facel Vega Coupe (est. €170k-€230k) and 12 others. 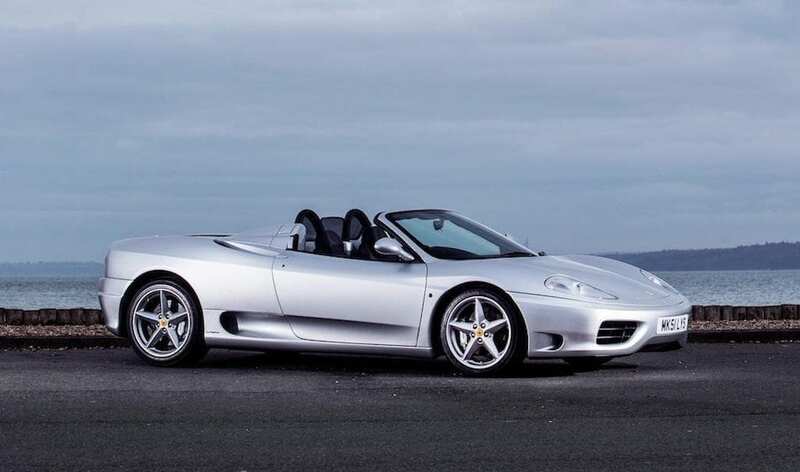 On the positive side, an ’01 Ferrari 550 Maranello went for €63,250, a ’73 365 GTC/4 for €189,750 and a ’53 Aston Martin DB2 Vantage drophead for €402,500 – this despite its Vantage engine being non-original and it being finished not in its orginal burgundy, but in an excessively vivid Fiesta Red. Strange but true. The day’s highest price came courtesy of a ’60 Maserati 3500GT Spyder which went to its new owner for €667,500. So there we have it. Half a dozen auctions and all within little more than a week. Only one of the six can really be considered to have been a rampant success – RM Sotheby’s at Maranello – but that was effectively a one-off benefitting from the hubub and uniqueness of Ferrari’s 75th. If there’s a lesson from all this it’s that, once again, classic and collectors cars don’t always provide an easy ride to Profitville, not even rare Porsche 911s, and short-term speculation certainly carries risk. Your classic should not be chosen purely on its investment potential, but because it’s a car you adore, a car you’d love to own, drive and cherish at least for the foreseeable future.